When I first became interested in photography, I would photograph anything and everything, I really enjoyed the artistic outlet and loved time in the dark room developing my images. Even though I had been very much into cars from a very young age thanks to movies like ‘Cannonball Run” and “Smokey and the Bandit” I was not ever sure what my photography niche was. In my early 20’s, I started to photograph cars more, paying careful attention to different shapes, lines and details, while learning more about each brand, and their respective following. Producing a sports car for 50 years and retaining an almost identical shape and engine layout is unheard of. 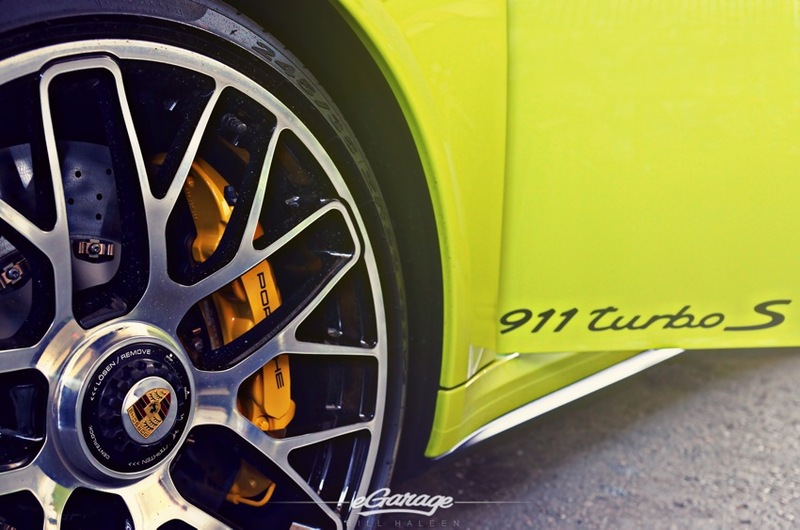 No car manufacturer has done such a thing except Porsche with its beloved 911. The car has not really changed much over the years, what it has actually done, is evolved. I was fortunate enough to purchase my very own Porsche 911 in 2012, a lightly used 2004 Carrera 4S and I have been hooked on 911’s ever since. It was then that I found my photography niche, turns out I was always a automotive photographer. I just needed the right car to give me the perspective and the inspiration I had been searching for. I find photographing Porsche 911’s of any year almost effortless, nothing else I have ever photographed comes more naturally. 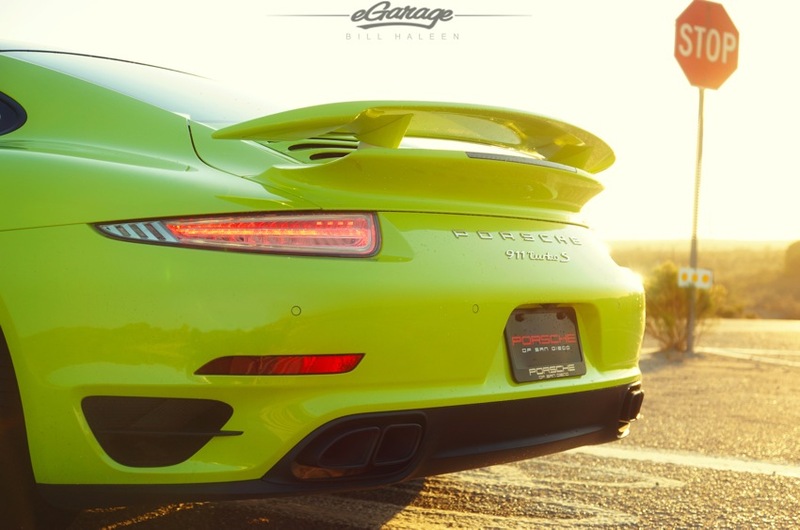 This 2014 Porsche 911 Turbo S is one of the most powerful production cars Porsche has ever offered. 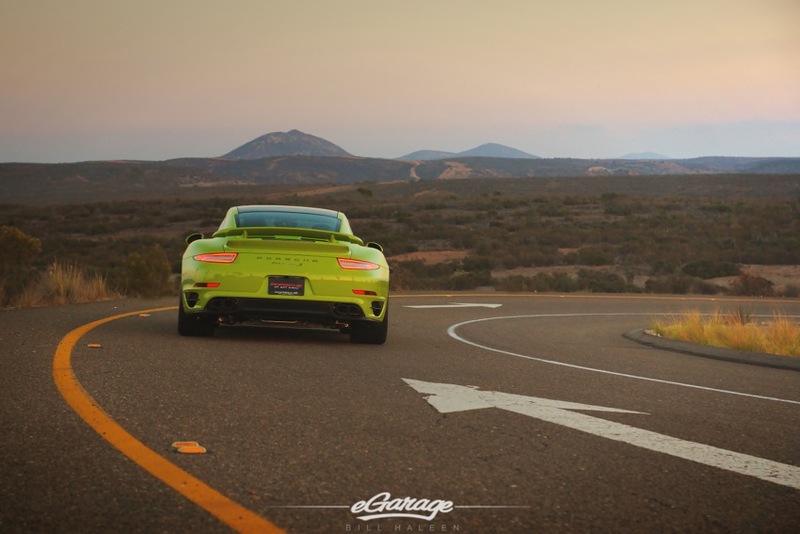 It boasts a 560 horsepower flat six with a PDK dual clutch transmission that is capable of 0 to 60 mph in just 2.6 seconds. 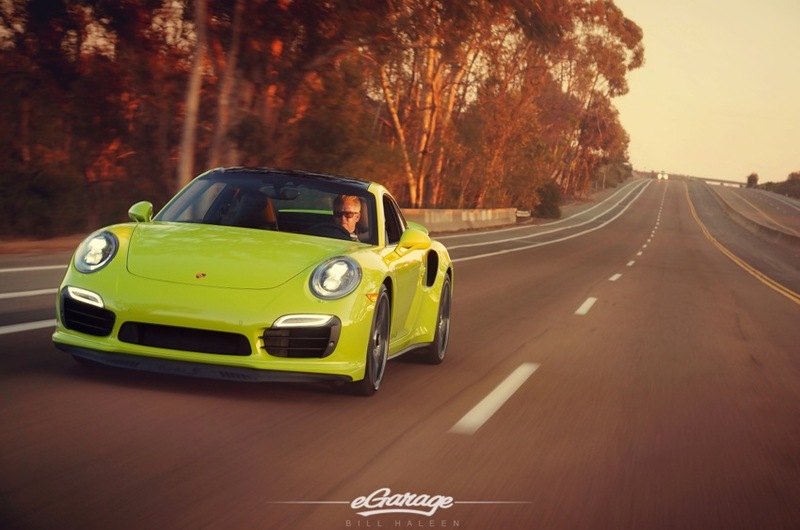 This is supercar performance from a car you can easily drive every single day. In comparison, the Bugatti Veyron Grand Sport Vitesse accomplishes 0 to 60 mph in the same 2.6 seconds but costs 1.9 million dollars and has over double the horsepower of the Porsche. 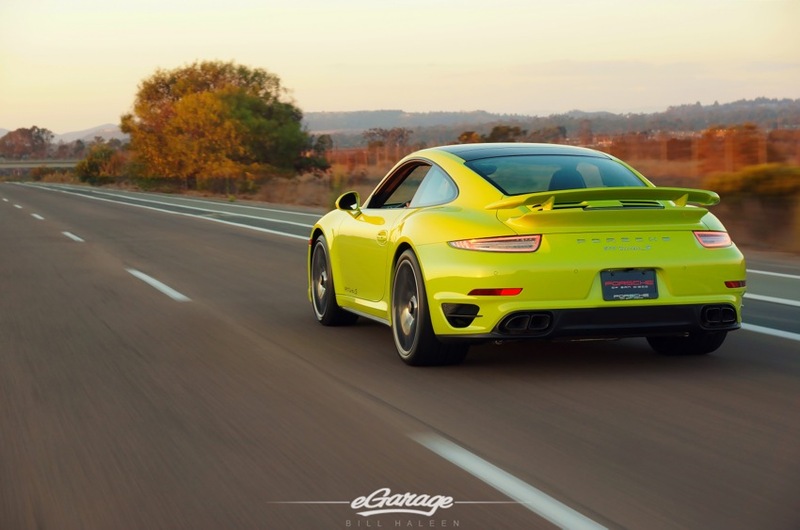 When you think of it in those terms the Porsche 911 Turbo S seems like a steal of a deal at $205,000. The car has grown as has its cabin. It is easy to get in and out of and it is extremely comfortable. If you drive the car in a docile fashion you may be fooled into believing you are driving a luxury car or a grand tourer. 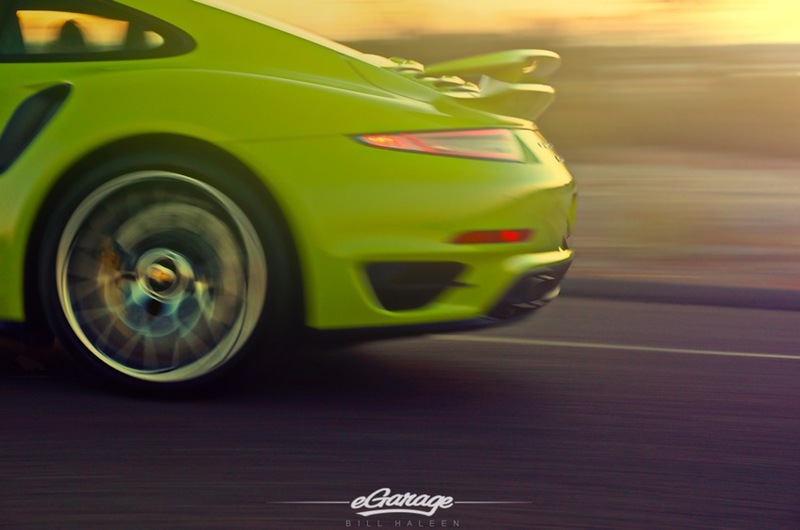 When you lean on that accelerator or get a little spirited in a turn everything changes, as if a switch flips and this car goes from extreme comfort to pure excitement. 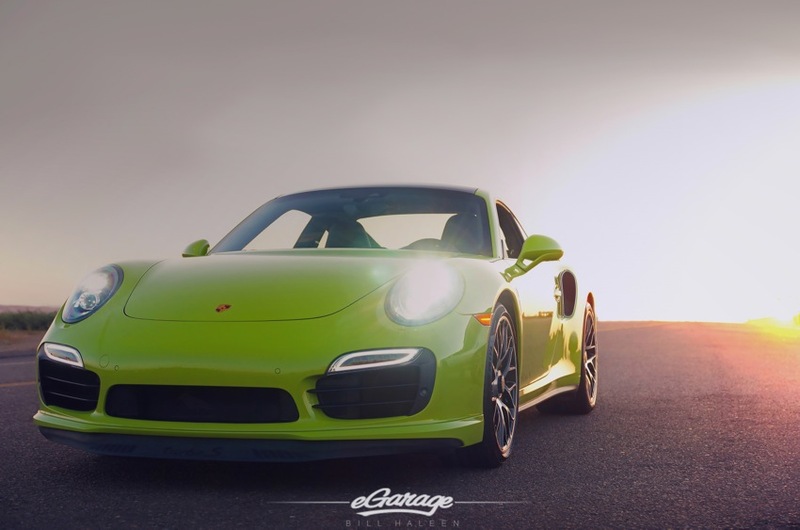 I can tell you from personal experience, having driven dozens of 911’s of almost every generation, the Porsche 991 is without a doubt the most true to life daily driver 911 to date.